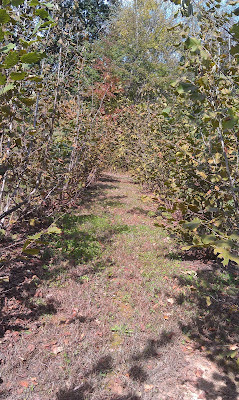 Truffles NC Black Truffle Products and Information: Truffle Season Approaching!!! Well, Here it is November and I'm wondering where the time goes. I'm sure you can all relate. 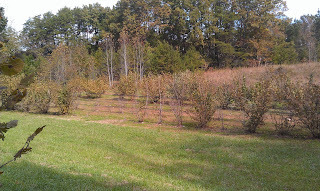 The truffle orchards look good overall. We had so much rain this past summer that I have actually used the irrigation system more since Labor Day than I did the whole previous season. That's a first! 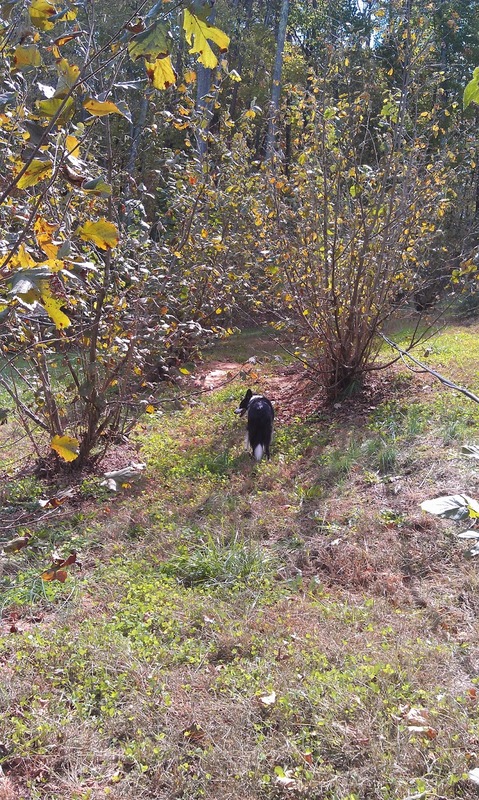 Now that the trees and truffles are accustomed to having that much water, I don't dare let them get dry. If that much water doesn't bring us a basketful of truffles, I don't know what will. 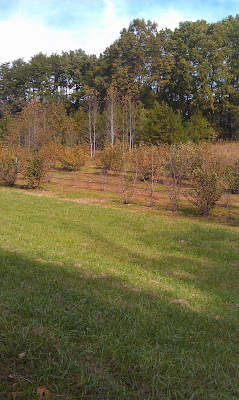 Here are some pictures I took last week of the trees in the big orchard in varying stages of dropping their leaves. 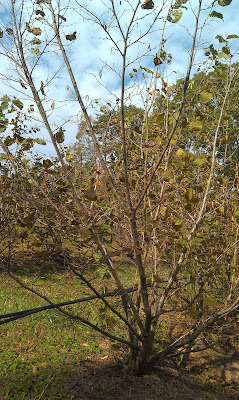 Upcoming work here over the next 30-45 days will include removing almost every original limb from the filbert trees in the big orchard as 99% of them are totally infested with Eastern Filbert Blight. 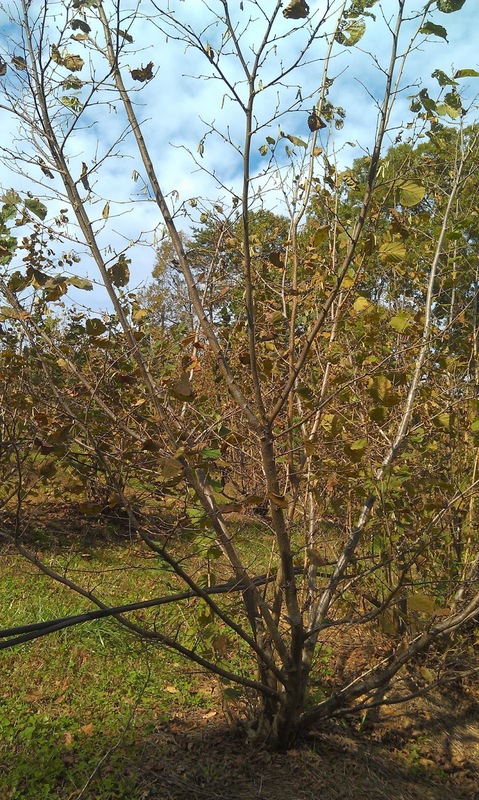 Phase 2 will be the pruning of half the little shoots (sucker branches) that have come up as a result of the previous pruning. Those new shoots are what give me hope. Yep, All those big limbs will be going away. The little limbs that shoot up as a result should be blight free. At least, that's been my experience so far. I'm just hoping that continues to be the case. If that theory pans out, we could extend the life of these trees substantially. 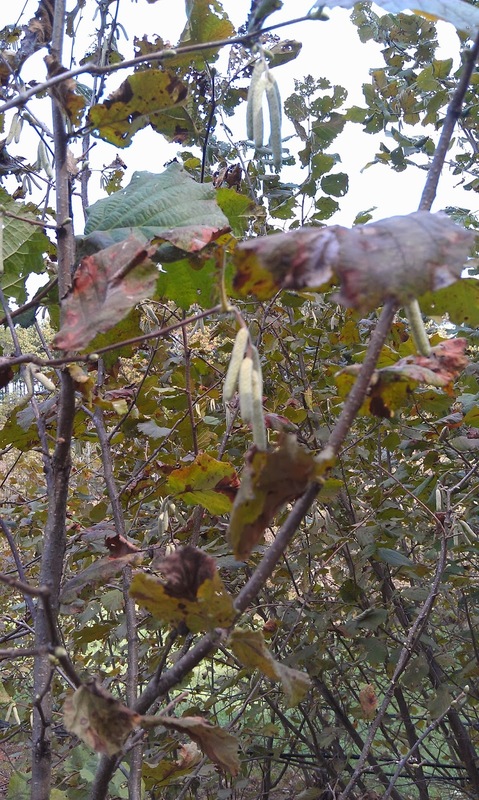 The filberts typically have a life span of 15-20 years at most. These are now 9 years old and, with the new shoots taking over, the future for them could be very bright. I have absolutely no one to corroborate my findings so, you heard it first here. As of this writing, I see our farm as a research station. So far, that's been our experience. Note the 2 "missing" rows between the forward most and rear most rows here. have ALL dropped off already. All the trees are the same age. Go figure! If you've been with this blog for a while, you will remember that back last year we started a foliar feeding program spraying Growers Mineral Solution on the leaves a couple of times a week (when it wasn't raining continuously). That was done to strengthen the tree and root system without changing the pH. Rarely do you want to use fertilizer as a soil application in a truffle orchard for that reason. 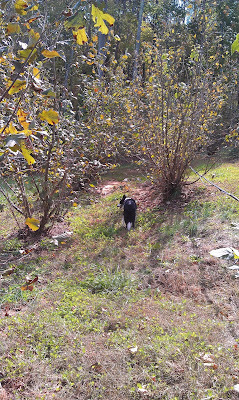 So, here we are with the hope that instead of losing this truffle orchard like we did the first one, we will be able to continue to prune, feed and keep the trees alive. We don't care if all the branches of the mother tree are gone and we are left with just the sucker branches as long as we keep the roots alive. So far, so good. Thanks heaps to the agronoman who suggested we take this route. Even though I am very tired of pruning, it sure beats pulling dead trees out of the ground and starting over. That, my friends, I will not do again. No way, no how! As I plan for 2014, I have decided to increase the number of farm tours offered. We will open the farm on the first and last Saturdays of each month from May through October next year (if all goes well.) Advertising in Our State Magazine has brought us a new customer group prompting the printing of a little catalog of our products. Email me if you'd like a copy of the farm tour brochure or the catalog. It's time to update the website again and decide whether or not I can pull off a Truffle Trifecta 2014 (keep your fingers crossed and save the date February 21) just in case I'm able to work it out. See all those little bitty skinny limbs there? Working as Executive Director for the North American Truffle Growers' Association (NATGA) has been a little more demanding than I anticipated. The organization itself is taking on a more professional presentation and growing more substantial with the work of a very dedicated group of volunteer officers. I'm excited about that. A friend told me a couple of weeks ago that I must have the "farmer gene" which is the one that keeps me believing "Next year will be the best year yet." I have to agree. From Keep Your Fork Farm, Think Truffles! !